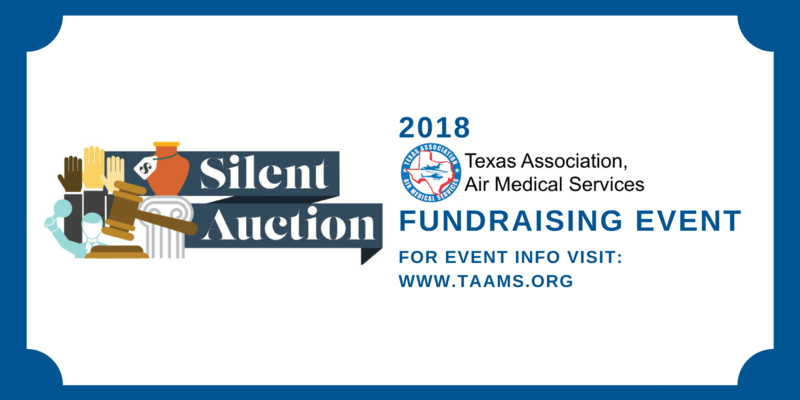 The Texas Association of Air Medical Services (TAAMS) is pleased to host the Texas EMS Hall of Honor Annual Silent Auction. The silent auction will be held in the exhibit hall at the Texas EMS Conference in Fort Worth, Texas. In order for this event to be a success, we are seeking your support as a donor of a Silent Auction item(s). All proceeds will be used for any travel funds needed for families of the Hall of Honor inductee(s) to attend the ceremony commemorating their loved one. By donating an item, you’ll be making a tax-deductible contribution that will help TAAMS offer financial assistance to these families in need. Additionally, you will benefit from exposure of your companies name and logo that will be displayed on the silent auction item(s) you donate. For those of you who have already made a donation, we thank you for your generosity. For those of you who haven’t donated but would like to participate, please see the attached donation form. On behalf of TAAMS, we thank you for your support! If you have any questions or need any further information, please contact me via e-mail: jim.speier@flightforlifetexas.com or by phone: (903) 571-5821.